Hey stranger how are you!?! Such a delicate looking card. 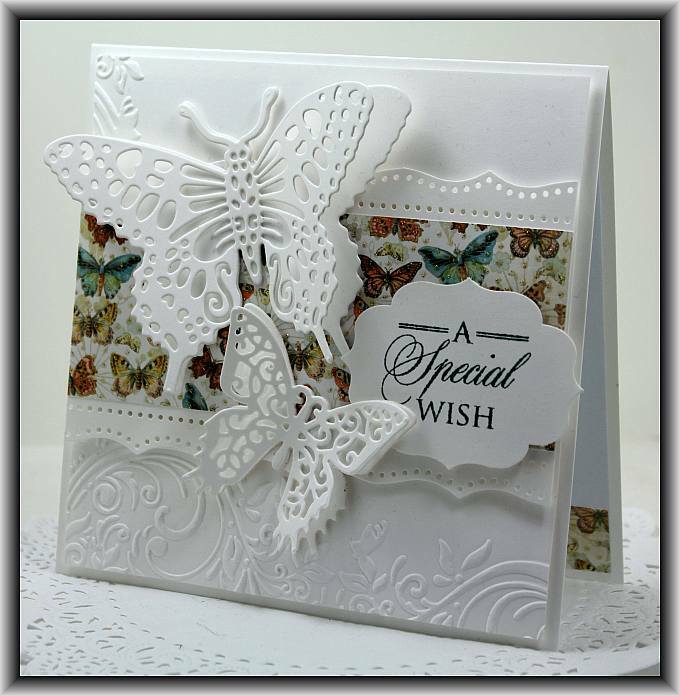 I love the use of the two different makers dies for the butterflies. They work well together, but are different enough to stop it looking like a cookie cutter card, which can happen with dies which match each other. On the whole, a really beautifully put together card. Love it! Gorgeous card Lisa. Hope you are all ok.
You’re card is beautiful! I like the use of butterfly paper centered on the white embossed background. Thanks for sharing!